This is a service where trucks with specialized lift systems mounted onto them deliver a temporary garbage bin to your site. The bins are rolled off the truck onto the homeowner or business manager’s property and left for a period of time. This can be for commercial use or residential use and sometimes using specialized garbage industry slide dumpsters, containers, bins and dumping bins on and off customized trucks. Other waste dumpster rental companies have hook lift systems for hoisting the dumpster off the truck and onto a driveway, city street or flat surface with reasonable access. It works similar to the rolloff chain and hook method where you attach a cable to the bin and pull it onto the truck with a track and chains. the difference is that a hook-lift truck uses a more sophisticated system that doesn’t require the driver to get out of the truck to attach onto the bin. You can also pick up hook lift bins on an angle which can be handy to fit in tight urban spots like alley ways in Kerrisdale, Oakridge and South Granville, BC. Rolling off trucks require more precision from their operators because the approach angle to pick up the trash bins are inferior. Best practices include getting out after the dumpster’s onto the truck to ensure that the locking features are engaged and to a safety inspection on the load. Best practices also include tarping loads while driving and not driving with materials hanging out of the box. 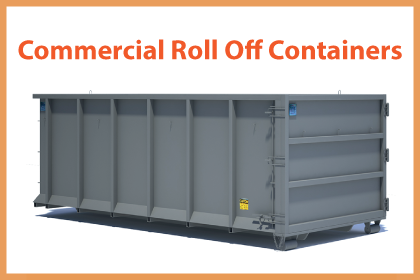 Renting a rolloff container starts with our online form or calling us to discuss your project. We will help you choose the perfect roll-off container for rent. You choose the date and time for roll-off delivery and then we drop off the container as planned. After delivery, simply fill up at your convenience and give us a call when you are finished for us to remove it! 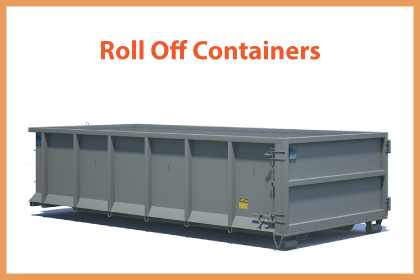 Roll off containers have always been the ideal solution to collection all manner of construction wastes and dumping them safely in the relevant places. 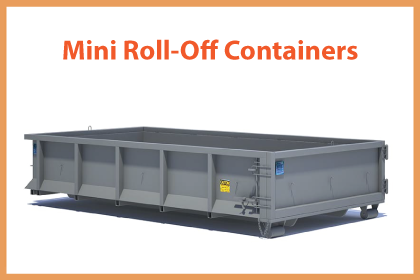 Their availability in different sizes also ensures that irrespective of the size of the construction works, you will always have just the right size of bins. The same also applies for demolition projects. There is no better solution for mass garbage collection for municipals involved in collecting garbage from their respective jurisdictions than the use of roll off dumpsters. With their huge sizes, all the municipalities have to do is to make rounds with the dumpsters loaded on the trucks and make trips around the municipalities collecting all the trash. It is simple, fast and very efficient. In addition to making rounds while collecting trash with the roll off containers, the municipalities can also place them in certain strategic locations and have people dump their wastes into them. When they get full, the garbage truck will then come for the collection. In this manner, the business and the residents have an efficient way of taking care of all the wastes under the supervision of the municipal authority. At Trash King, we are simply a cut above the competition. We offer a sameday roll off garbage bin rental service that guarantees delivery on the sameday that you call if you do so before 10am. Who else does that? We have over 100 roll-off bins in our inventory ready for your project and dispatchers on-call to take your inquiries in the most professional manner. Renovation projects usually come with a substantial amount of wastes. One funny thing about such wastes is that they have to be removed to facilitate to make it possible for the work to continue. Since waste are generated in large volumes and in a short period of time with such projects, roll of dumpsters have always provided the ideal solution for the waste management. Construction projects are just like renovation projects in the sense that they also generate large volumes of debris in a very short time. Just like with the renovation projects, the wastes generated in the construction sites has to be removed regularly to enable the rest of the works go on without any problems. Roll Off Bin Rental: What the Heck is it? Simply put, its a hook-lift truck that comes and rolls off a garbage bin for you to rent and leaves it at your home or business. You get to fill up the roll-off bin at your convenience with all your garbage and trash and then call use to pick up the bin. Our truck comes and rolls the container back onto the truck and we take it to the disposal facility. After we are finished, we send you a receipt for the service and if you are happy, we appreciate your reviews.